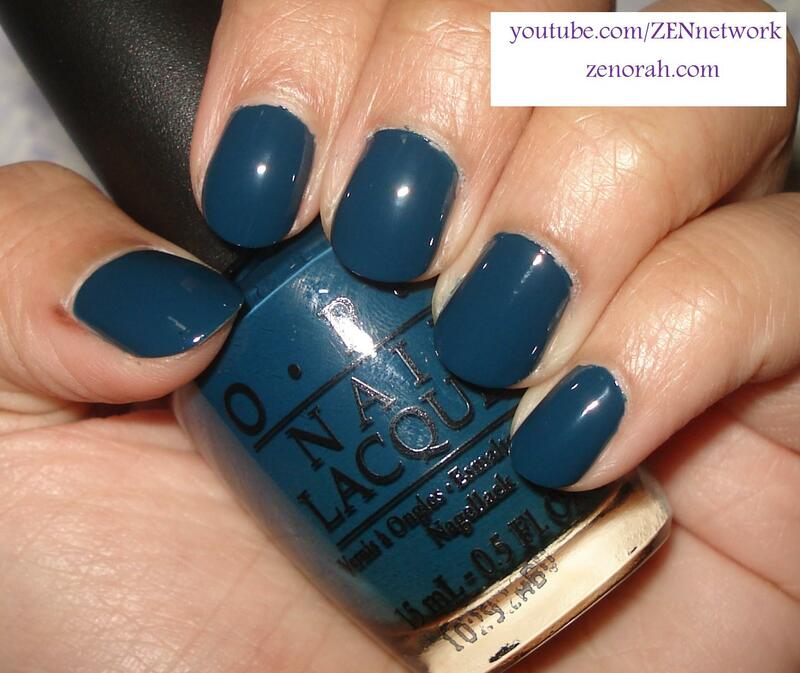 OPI Ski Teal We Drop – is a stunningly beautiful rich teal creme polish. As the title says and as I mentioned in my Fall 2012 Nail Polish Picks video I have posted this polish before but the pictures did not do this polish justice, hence why I NEEDED to do another blog of this baby! I have been so busy with things lately but I have missed blogging so much!! So hopefully I can get up at least one or two posts a week – but all that being said, I hope you guys are well and happy. This polish was released in OPI 2010 Swiss Fall Collection and HOPEFULLY it has made it’s way into their permanent line up because quite simply – YOU NEED IT, yes it is just that beautiful! While it is a ‘teal’ polish, it almost reminds me of a dark peacock blue, don’t you think?? And I adore those tones of polishes on my skin tone – it’s a beautiful way of wearing a midtone-dark polish during the Fall/Winter season away from the dark purple and/or traditional colours. And believe me, people will stop and ask you what colour/brand of polish you are wearing. What I love most about dark polishes, is that it looks FANTASTIC on shorter nails – I usually keep my nails a little bit shorter during the Fall/Winter season just for preference and not to mention it’s easier to maintain them that way. Currently, I have not worn nail polish in about a week and have been going BANANAS! I have missed it so much so the first thing I did was run straight to my OPI drawer and pulled this baby out! It was opaque on two coats and the finish was flawless – if you want to see my over-all score of this polish you can read it HERE. If you ever come across this polish, don’t even hesitate pick it up – you will wear it much more often than you think!